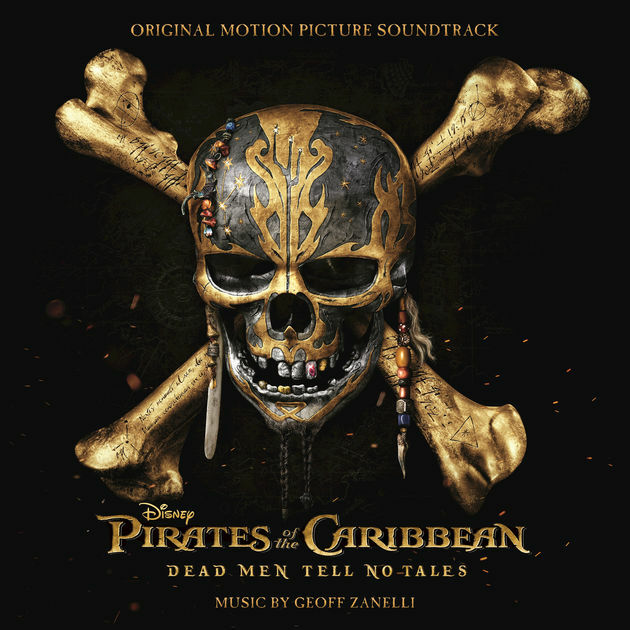 Almost 15 years on, the very recognisable “He’s a Pirate” cue from Disney’s Pirates of the Caribbean franchise is one of the most played movie themes, alongside beloved melodies from the Harry Potter and Lord of the Rings series. You can’t escape the music – with every new movie produced in the franchise, the composer is expected to incorporate the theme into the score. For the fifth installment of the swashbuckler blockbuster movies produced by Jerry Bruckheimer and based on Walt Disney's theme park ride of the same name, Geoff Zanelli takes over from Hans Zimmer as composer. Back in 2003 when the music for Pirates of the Caribbean: The Curse of the Black Pearl was being written, schedule to produce the music was very tight and several composers were called upon to help orchestrate the music and write additional cues. Zanelli was one of them and through the following years, he has been working with Zimmer on many feature films. How does the alumnus of the prestigious Berklee College of Music fare here? Not bad at all, we’d say. First, the soundtrack album gets points for containing more than 70 minutes of music. No songs, no remixes – just over an hour of bombastic score fit for sailing the high seas. Tracks are substantially long: “El Matador del Mar” runs at eight minutes, while “Kill the Sparrow”, “The Brightest Star in the North” and “I’ve Come With the Butcher’s Bill” clock runtimes of more than six minutes each. While there are many throwback moments with iconic themes from previous films, the most notable addition to this score is the villain theme for Javier Bardem’s Captain Salazar. The electric guitar strums do not know the meaning of subtlety, and forces the melody in your face imposingly. The theme is menacing, badass and isn’t shy about numbing your senses. A large part of the soundtrack is deafening, pompous and almost overbearing. This doesn’t mean that we didn’t enjoy the music as it is till lots of fun - just take note not to play it when you’re having a migraine. There are tender and soaring moments too, particularly in the last two cues “My Name is Barbossa” and “Beyond My Beloved Horizon”. Fans will recognise the love theme from 2007’s Pirates of the Caribbean: At World’s End, and be in awe with the music’s epicness.